Hotel Colono in Coco Beach, Costa Rica is located in the funky and eclectic town of Playas del Coco in the Guanacaste province on the Northwest Pacific coast. It is easy to walk to restaurants, banks, souvenir shops, grocery stores, clothing stores, ice cream and coffee shops and even a casino!! The beach has a nice walkway that was put in recently, and there is plenty of nightlife. Only 45 minutes from Liberia International airport, you will find it a great place to base yourself in the center of the action. With 32 spacious rooms, the standard rooms offer something for the budget conscious, while some of the deluxe rooms and suites offer semi-equipped kitchens. Master suites with two bedrooms and beds for up to six people are great for a family. You are sure to find a room that fits you and your traveling companions. There are so many things to do in and around the Coco area and you will find Hotel Colono an oasis like place to center yourself away from it all when you are ready to get away. If you want to dive, snorkel or take a tour to many of the National Parks, zipline, ATV or other adventurous tours available in the area. Bill Beard’s offers daily scuba diving, tours, sunset sailing cruises and much more from the hotel. Air conditioning, Flat screen TV with cable, Telephone, Safety deposit box, and a private bathroom. 8 Standard Rooms with 11 queen bed. Max 2 people. 6 Deluxe Rooms with semi-equipped kitchen (microwave & toaster), 1 queen bed. Max 2 people. 6 Deluxe rooms with a sofa bed, a room with a queen size bed and a double sofa. Max 4 people. 8 Suites with 2 rooms (one room with 1 queen size bed, and another with a double bed). Semi-equipped kitchen. Max 4 people. 2 Master Suites, each with 2 bedrooms (one with 1 queen size bed and the other with a double bed). A room with a queen size sofa bed. Max 6 people. 2 junior suites, 1 King bed private balcony, Max 2 people. 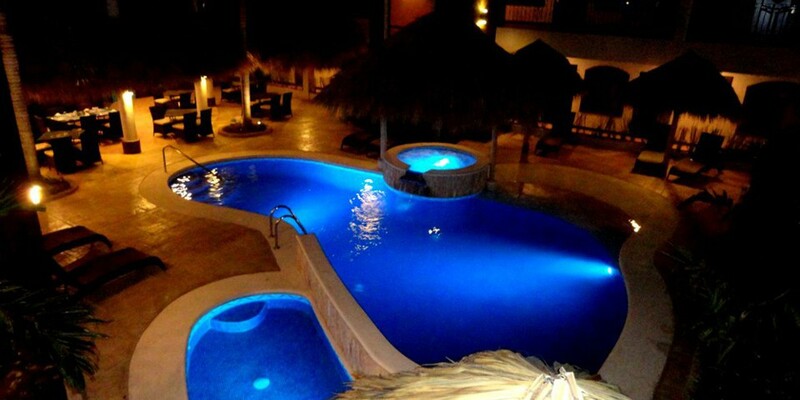 Wi-Fi is included, Laundry facilities, Restaurant and Swimming pool with Jacuzzi.